WASHINGTON, UNITED STATES (26/JUN/2013.) - The Central Intelligence Agency (CIA) have begun to move weapons to Jordan as part of the U.S. plan to strengthen the forces fighting against the regime of Bashar al-Assad, said today The Wall Street Journal (WSJ). The journal, quoting diplomatic sources and the U.S. intelligence, said the CIA conducted training work in the secret facilities located in Jordan to prepare moderate Syrian rebels, who are fighting with General Salim Idris, the main rebel commander backed by Washington. United States plans to supply arms, ammunition and certain types of anti-tank missiles to rebels, weapons that could begin to be used in the Syrian conflict in late July or early August because it will take about three weeks to get to Jordan, added the WSJ. 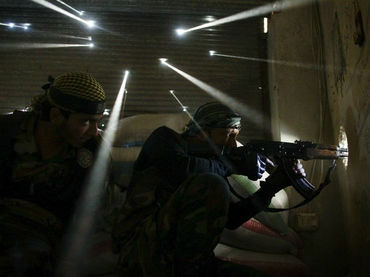 This Operation was launched following the recent announcement by President Barack Obama to increase support for Syrian rebels with military aid, after the United States have revealed data that Syria has used chemical weapons against the rebels, which meant that they have crossed a "red line" in the armed conflict. Furthermore to this military supply from the United States, Saudi Arabia will also participate in the operation of the delivering of a small contingent of anti-aircraft weapons to the rebels. The plan seeks to strengthen the position of the so-called rebels against the Islamist moderates and counter the recent victories of Syrian forces with the support of the members of the Lebanese militia Hezbollah operating in Syria. Thus, the United States is putting up the pressure on Syria, but so far has avoided a military intervention or the establishment of a no-flying zone, as requested by some congressmen. Last week, Secretary of Defense of the United States, Chuck Hagel, has ordered to keep in Jordan a battery of Patriot missiles and various jet fighters F-16 that has have been sent there in early June for a military exercise, as a protective measure against the conflict in neighboring Syria. According to the UN, more than 90 000 people have died since the beginning of the conflict more than two years ago, the protests against the regime of Bashar al-Assad, has resulted in a civil war.